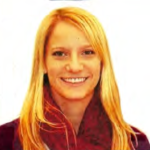 Angela Marchin is a Family Planning Fellow (abortion-trainee) at the University of Colorado-Denver. See documents below. 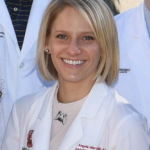 Angela Marchin graduates from her ob-gyn residency , will complete a Family Planning Fellowship in Denver, CO. See page 5. 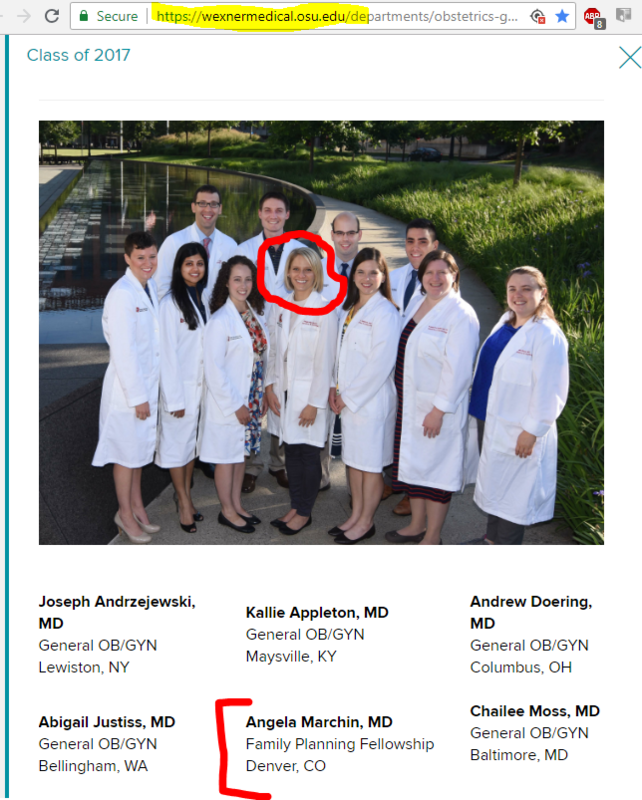 Angela Marchin practice listing at Comprehensive Women's Health Center abortion clinic. See page 35. 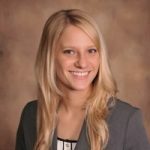 Details on abortion-training Family Planning Fellowship at UC-Denver. 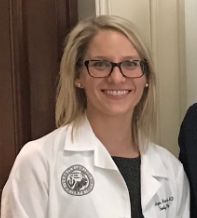 Angela Marchin is a Class of 2019 Family Planning Fellow. Family Planning Department newsletter. 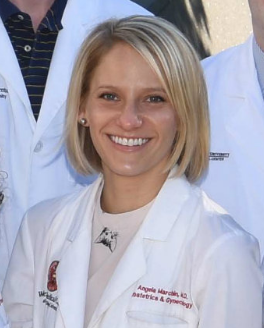 Angela Marchin will be a 2017 Family Planning Fellow. See page 7. 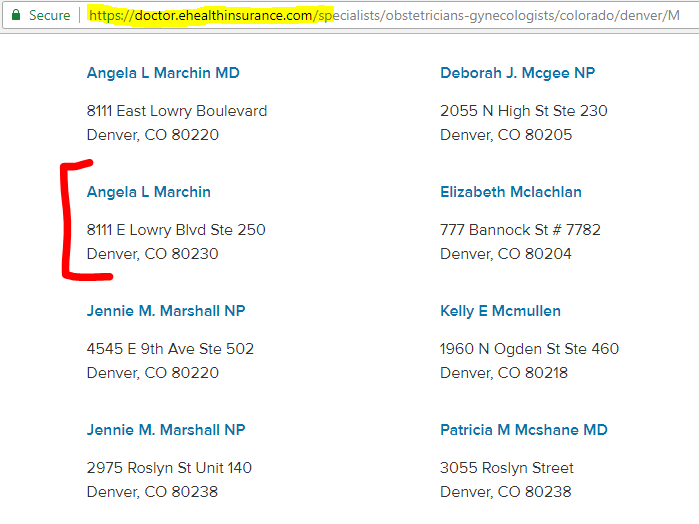 Family Planning faculty at UC Denver, and link to the affiliated Comprehensive Women's Health Center abortion clinic. 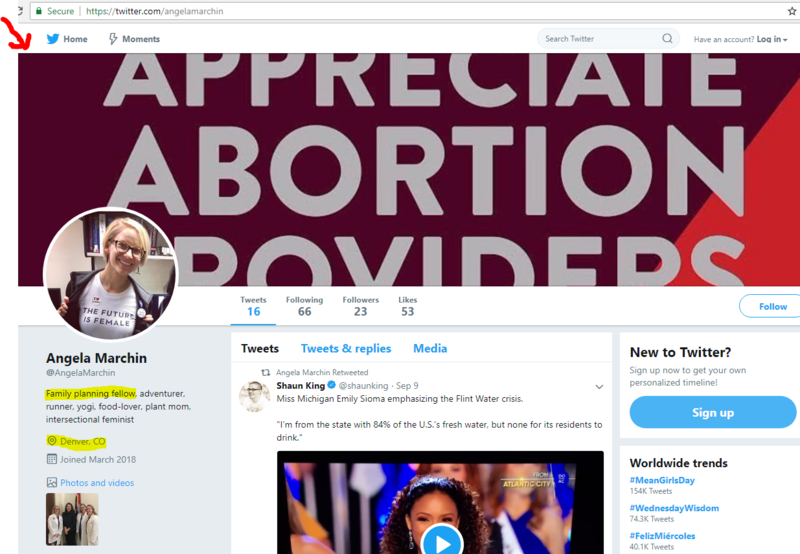 Angela Marchin's Twitter page. 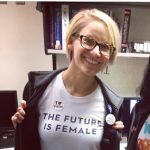 She is a family planning fellow (abortion-trainee) in Denver, CO. 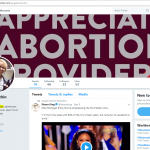 Note the "support abortion providers" background. Listing at Comprehensive Women's Health Center abortion clinic. Marchin is a Family Planning Fellow (abortion-trainee) at UC-Denver. 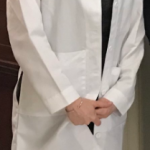 Class of 2017 ob-gyn residents. Angela Marchin will do a Family Planning Fellowship in Denver, CO.